Whenever someone interacts with the criminal justice system, a record is created. It doesn’t matter if someone is arrested, charged, tried, convicted or acquitted on appeal, the steps of an investigation and sentencing are written down and filed away. These files are considered public information, and anyone from friends and neighbors to landlords, potential employers and others can access those files and read someone’s history in its entirety. This can lead to a lot of problems for those who have a criminal history. Social judgments and loss of reputation are one potential problem, and being denied a job or a place to live is also possible. Prejudice and problems can be legion, depending on what a person did or was just accused of doing. However, if someone lives in the state of Maine there is an option for cleaning up one’s criminal history and taking their life back. In the legal system, the term expungement means that someone’s criminal record is completely erased and taken out of the system as if the incident in question never happened. 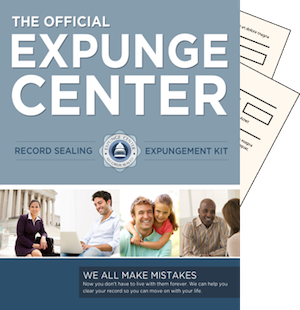 Those who qualify for expungement are usually arrests and charges that were dropped, or extreme circumstances such as being convicted and then pardoned due to being found innocent of the crime in question. The offense that someone is trying to wipe away must be the first, and no other incidents must have been expunged before it. Someone cannot have any other incidents since the one in question, and they cannot be part of a current investigation, trial or other form of criminal proceeding. Once someone has checked and made sure that his or her case qualifies, the next step is to go to the courthouse that has jurisdiction over the case in question in order to expunge record Maine. The individual then has to fill out all of the forms to request that the court wipe away all record of that incident, pay the legal fees and provide any and all documentation that the process asks for. Once filed, the court will review the request and then either agree or deny. There may be a court appearance set, but it may be handled without any further effort on the part of the applicant. If someone has a felony or misdemeanor conviction that cannot be expunged completely, it may be possible to seal the files away. A sealed history is still off limits to the general population, but it can still be seen and perused by law enforcement agencies conducting official investigations into someone’s background. The process for sealing someone’s history is the same process used to wipe it away entirely; the only difference is the boxes checked and the forms that are filled out. Applying for this process might seem intimidating, but Maine’s statutes are not so complicated that one requires an attorney in order to be successful. In fact, one doesn’t need to hire a lawyer at all. All someone needs is a kit that provides the proper paperwork and an explanation of the process and what’s required of them. These kits are easy to use, simple to order and they can be customized based on the state that someone is trying to clean his or her criminal history in. There’s no reason to hire an expensive lawyer, or to take a risk going in unprepared. All someone has to do is research, and go through the kit in order to check their due diligence before filing the appropriate papers with the court in question to get their Maine expungement or sealing.